Our system sends notifications to account holders when certain actions are take. 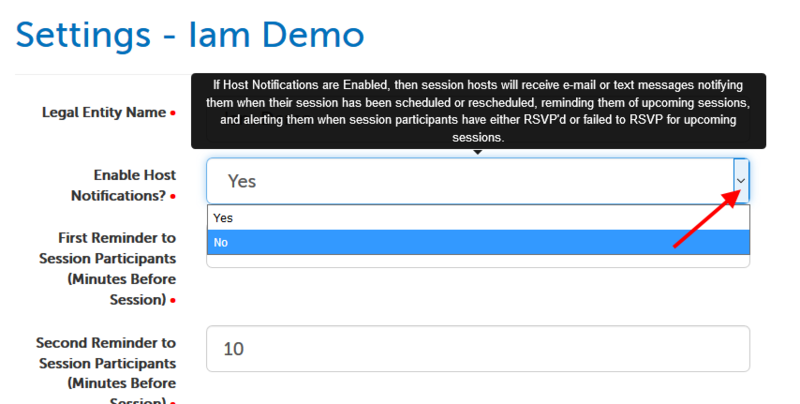 This is separate from invitations sent to session participants, as you can choose whether or not to send an invite to them when you schedule a session, although you can turn off reminders (as detailed below). The support article below goes over the different notifications that can be turned on or off, and how. 3. Next to "Enable Host Notifications", change the selection from "Yes" to "No". 4. Click the "Save >" button at the bottom of the page. You should see a blue banner message confirming your changes were saved. Edit the below notifications sent to you by editing the "My Settings" page. 1. 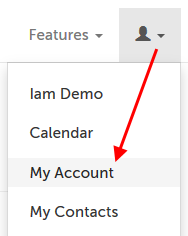 Click on the Profile icon in the upper right-hand corner, and select "My Settings" from the dropdown menu. 2. Change any of the selections you would like to. 3. Click the "Save >" button. You should see a blue banner message confirming your changes were saved. 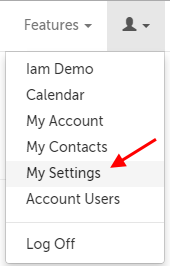 Two reminders are Account admins can customize the times disable reminders sent to participants (if an invite was sent) by editing the "Account Settings" page. (For accounts with multiple users, this change will affect all users on the account and override personal preferences.) 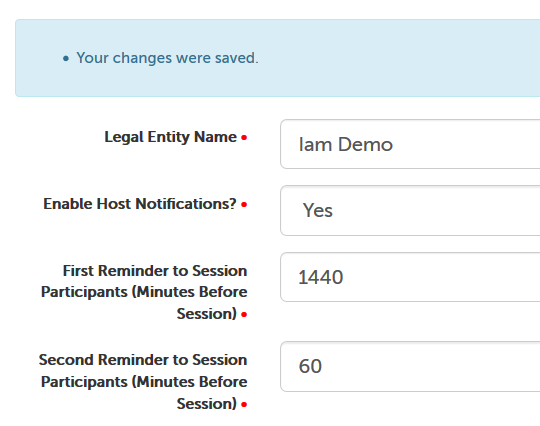 By disabling reminders, participants will receive an invite email or text (if that method is selected), but will not receive the reminders at 2 hours or 10 minutes before the session. By default, our system sends a reminder 2 hours (120 minutes) before the scheduled start time, and 10 minutes before the scheduled start time. If you don't want any reminders, set both fields to zero. 4. Click the "Save >" button at the bottom. You should see a blue banner message confirming your changes were saved. 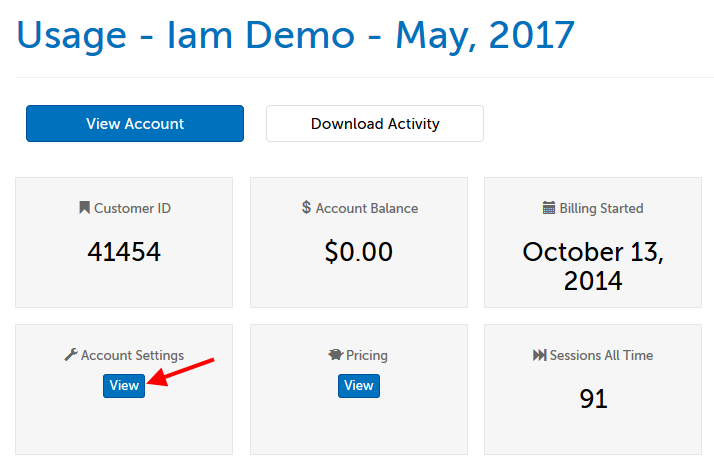 This article was last reviewed by our Support team on May 5, 2017.